Eat. Live. Laugh. and sometimes shop! : Summer travels & kids. I could write a book on the joys and travails of traveling with children. I do love it, but honestly, I also find it challenging to strike a balance between entertaining the children and enjoying myself and my husband. I do not want to be a traveling circus with constant activities aimed at pleasing my children. I want them to learn to simply enjoy themselves with no involvement on my part. OK, well at least little involvement. The sharpest tool in my arsenal of late is the travel journal. 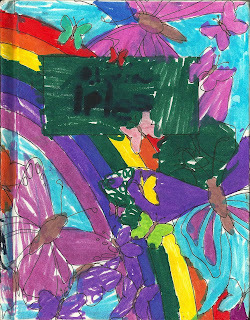 In past years I have provided them with a hard-cover book with blank pages and suggested each day they write about or draw pictures depicting something they enjoyed about the day. This requires they sit down each day of our vacation and spend time thinking, writing, and perchance, processing how much fun we've had. I believe it builds appreciation for all they experience, but it also serves the purpose of providing mommy and daddy with a few moments little quiet time. These darling "bare books"come in a variety of sizes and covers. They cost only $1.75 (for the smallest size) so you can afford to buy them for any occasion -- maybe a birthday journal or a camp journal or just a weekend at grandma's journal. I buy them in bulk and hand them out like candy. Here's an book Olivia completed a in 2008. 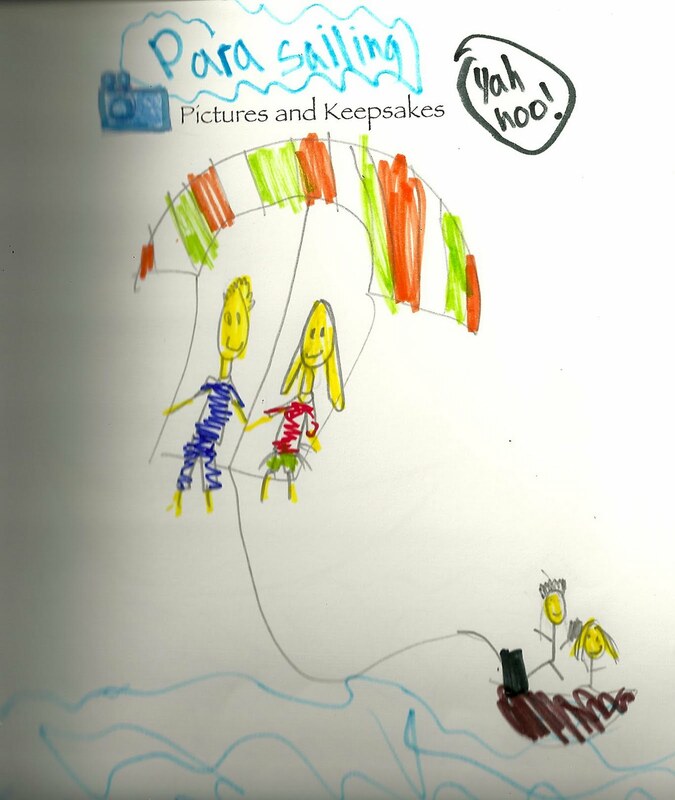 It is stashed away in a memory box and is an absolutely priceless reminder about not only our family vacation, but also, how quickly time passes from messy scribbles and incoherent thoughts to three dimensional illustrations and thought-provoking responses. Now that they read and write quite well, I've splurged and purchased an actual travel journal with pages of questions and and prompts. 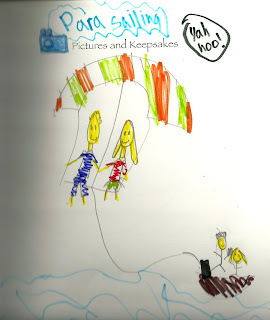 They also include pages for pictures or memories. 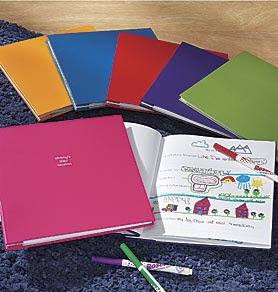 Exposures sells these colorful journals which are currently on sale for $14.99. I've stocked up for at least the next two years. Here's a page from our recent trip to West Palm Beach. My kids love these and have come to expect them with every major vacation and even weekends at the lake with friends. This all started as a way to occupy them for a few moments a day, but now, looking back I realize I have benefitted far beyond those few quiet moments. I would love to hear about your favorite tip for traveling with kids. How do you strike the balance? Thanks, Katia! Both your girls wold love it! And Sebastian, of course!